The 13th annual Hingham-South Shore PMC Kids Ride is Sunday, June 9, 2019! Thank you to the 2018 riders, volunteers, parents and sponsors. Thanks to your hard work, the 2018 Hingham-South Shore PMC Kids Ride raised more than $58,000 with 320 riders! Park your car in the area designated by on-site parking attendants. Bring your bike and park in the location specific to your loop. Each loop has a different bike-parking site. Please refer to the site map. All bike-parking areas are highlighted in yellow on the map and labeled with the specific loops. If you checked-in on Saturday, you can skip this step. Just park your bike in the marked start area by loop (make a note of where you parked your child's bike!) and listen for the announcement for the opening ceremonies at 8:30 AM. If you have not checked in on Saturday, please read the directions above under "early check-in” on Saturday. Everyone needs a bike number on his or her bike (riders as well as volunteers) so we know what loop they have chosen to ride. We ask everyone to join us at the stage area. It’s ok to leave the bikes for now – they’ll wait for you. Welcome and announcements, then get ready for the rollout! VOLUNTEERS ONLY IN THE PARKING LOT PLEASE! Parents – please do not walk on the loop. Only parents that have registered to volunteer as Bike Marshals or as Route Guides may ride or be on-foot on the loops. Please cheer on the riders as they begin their ride. We'll send off riders by loop to keep the flow going safely. The riders will return to where they started and you can meet them at the end of the ride. Tykes Yellow Loop – A parent must remain at this loop while their child is riding. Kids may ride the paved loops multiple times, time permitting. Tykes can circle in their loops for as long as they want. At 9:45 AM, the 4-mile Blue Loop will be closed off to starting additional loops and adult volunteers will sweep the loops to make sure all riders are in. The kids will leave their bikes in the parking lot where they started and return to the Visitors Center area to enjoy the festivities! Tykes Yellow Loop: Easy flat loop in parking lot next to the Visitors Center for the youngest riders on tricycles, bicycles with training wheels, and Balance Bikes (bicycles without pedals). A parent is required to remain at that Loop and supervise their rider from the side of the Loop. 1-mile Green Loop: A 1-mile paved loop. Ride it once or ride it several times! Volunteers on bikes and on foot supervise the riders. NO training wheels will be allowed on this loop! New Loop this year all on paved trails - see map! 4-mile Blue Loop: A 4-mile paved loop. Ride it multiple times for a bigger challenge! Volunteers on bikes and on foot supervise the riders. NO training wheels will be allowed on this loop! 3-mile Orange Loop: A 3-mile unpaved loop on mountain bike trail in the park for the novice mountain biker. Requires a mountain bike with 24” wheels or smaller. Ride twice if time permits. Plan to meet your child at a pre-designated spot, to avoid confusion. Led by members of the S.E. Chapter of the N.E. Mountain Bike Association and Friends of Wompatuck. Volunteers on bikes supervise the riders. 6-mile Purple Teen Loop: A 6-mile unpaved loop on mountain bike trails in the park for the experienced mountain biker. For ages 13-18. A mountain bike with 24”wheels or larger is required.This loop can only be done once. Plan to meet your child at a pre-designated spot, to avoid confusion. Led by members of the S.E. Chapter of the N.E. Mountain Bike Association and Friends of Wompatuck. Volunteers on bikes supervise the riders. Parents will need to create an account or log in with an existing account in order to register their child or family. When creating an account, please enter the parent's information first as there will be a separate part in registration to enter the child's information. During registration there is the option to join or create a team, as well as create a family page. Parents will need to sign a waiver and commit to the $30 fundraising minimum per rider. Once registration is complete, parents will receive an email with information on how to log into their management page to customize donation pages and to track donations. The fundraising minimum for each rider is $30 and is due by September 1, 2019. Riders who go above and beyond with their fundraising will be recognized Heavy Hitters or Breakaway Fundraisers and will receive a special gift in recognition of their fundraising efforts. 100 percent of all rider-raised dollars go directly to Dana-Farber Cancer Institute. Make sure that the rider's name is listed so they can receive credit! We want to assure both parents and riders that safety is our number one priority.nWe want everyone at the event to have fun, while at the same time making sure all riders and those around them remain safe. We are prepared to handle up to 500 riders, with up to 150 volunteers focused on their safety. With this goal in mind, here is a description the supervision of the routes and a few safety tips. Please review the five available routes and choose a route that is achievable. 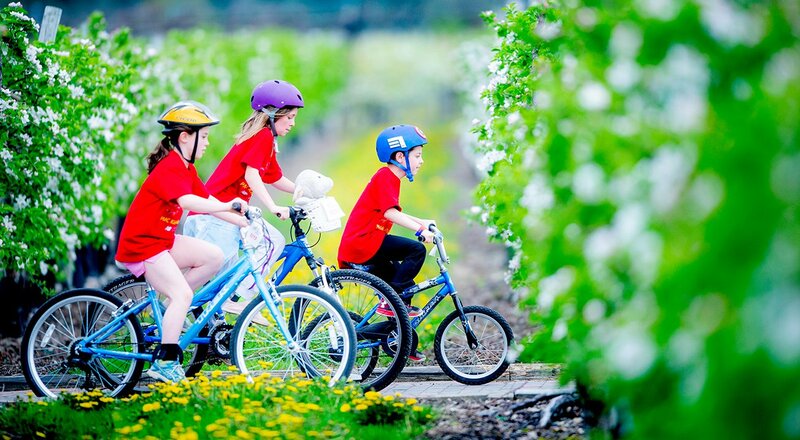 We offer five different rides, so select the one that best fits your child’s cycling ability. If you're unsure whether your child is ready for these routes, we suggest printing out a copy of our Route Map (can be found on the right side of website) and taking them on a test ride before selecting a route. If you feel that you need to ride along with your child, you will need to register as a volunteer Bike Marshall. We welcome all volunteers! In addition to our dedicated safety coordinator and volunteers, all rides are supported by Hingham Fire Department EMTs on bicycles, a nurse at the first aid station, and DCR Wompatuck Park Rangers. We provide a helmet check and it is highly recommended that each child have their helmet fitting checked prior to the ride. All riders – children and adults – must have a PMC bike tag on their bike to show they are registered. All riders - children and adults - are required to wear a CPSC or Snell approved bicycle helmet. It is the law in DCR Wompatuck State Park that every child 16 years and under must wear a helmet. All water bottles must be in a water bottle cage. Make sure your equipment is in good condition. Before the ride, check bicycle helmets and bikes. Although, we will have a bike technician at the event, it is better to come prepared. Remember, the ride is not a race; the ride is a reward for the hard work of raising money for the Jimmy Fund. Let's work together to ensure a fun and safe event for all as we ride to fight cancer! There are lots of volunteer opportunities available for those ages 12 and up! Please consider volunteering! We could not hold this event without our valued volunteers. We can always use volunteers – especially as Route Guides and Bike Marshals to help us direct riders around the loops. Here’s your chance to be in the action – and to wear a cool Volunteer T-shirt. Click Register to Volunteer below. Drop us an email at southshorepmc@gmail.com with any questions. 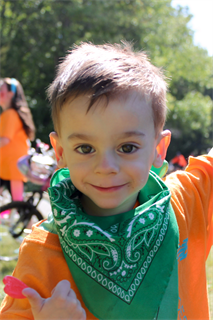 The PMC Pedal Partner Program is a wonderful way for riders to connect with a child who has been affected by cancer. PMC Pedal Partners are pediatric oncology patients at the Jimmy Fund Clinic who are paired with PMC Kids Rides or PMC teams. Julian is a 3.5 year old from Quincy, Massachusetts. He loves puppies, M&Ms, playing with his older brother Eli and playing with cars and trucks. In November of 2014, just after his first birthday, Julian was diagnosed with Hepatoblastoma, pediatric liver cancer. After an attempted tumor resection and 8 rounds of chemotherapy, he was listed for a liver transplant, which he received in May 2015. He finished his cancer treatments in July 2015, and although he will always receive follow-up for his transplant, he is doing well. He is now able to be an active and happy toddler who enjoys life to the fullest! 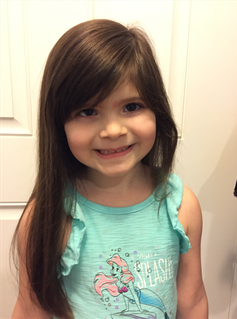 Poppy is a sweet, engaging 5-year-old with a fantastic sense of humor! 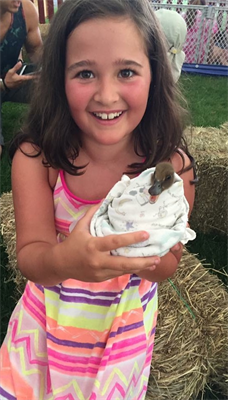 She lives in Marshfield with her dad, mom, little sister Hazel, and her dog Penny. Poppy was diagnosed with retinoblastoma (a tumor on her retina) at the age of 4 months. With the timely diagnosis and treatment, Poppy was considered to be in remission before her first birthday. She continues to see her opthalmologist, Dr. Ankoor Shah, every six months for an exam under anesthesia to ensure that there isn't any tumor regrowth. Throughout all of her treatments and followup exams, Poppy has never lost her happy-go-lucky disposition! With each subsequent office exam, Poppy's vision continues to improve. Sophia is 10 years old and lives in Quincy, MA. She lives with her mom, dad, and her 6-year-old sister Zoe. Sophia is in the fifth grade at Beechwood Elementary School in Quincy. She loves school and her favorite subject is math. Sophia works very hard in school and hasn't allowed treatment to interfere with her love and success in school. During her free time, Sophia loves to dance. She dances for Velocity Dance Company in Quincy, and is part of the Glitter team. She does ballet, tap and jazz, with jazz being her favorite. Although she is not currently able to participate in dance, she still attends all her classes to watch her group and video the dances in the hopes that she will be ready if she is able to dance in the recital. In December 2014, Sophia was diagnosed with LCH, a rare disease involving clonal proliferation of Langerhans cells, abnormal cells deriving from bone marrow, which manifested in a bone lesion on her C2 vertebrae. She began chemotherapy in January 2015 and wore a halo, and now a hard collar, to limit mobility in her neck. Sophia, however is tolerating treatment very well, and maintains a positive and resilient attitude. She looks forward to her treatments ending and being able to enjoy all of the activities she loved before her diagnosis. 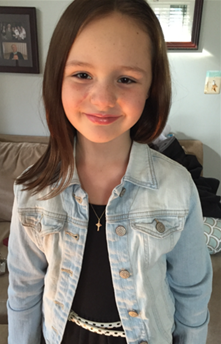 Elena is a happy, healthy and active 8-year-old girl in second grade! On July 1, 2011, when she was two years old, Elena was diagnosed with Acute Lymphoblastic Leukemia (ALL). She was inpatient at Children’s Hospital for 45 days and then received treatment at the Jimmy Fund Clinic until August 9, 2013, when she had her last dose of chemo! She will be four years off treatment in August 2017. She is still seen at the Jimmy Fund every 6 months and we are hoping she will go down to once a year at her next visit. She loves swimming, going on vacation and spending time with her family and friends. She looks forward to the South Shore Kids ride and cheering on Team Perini every year. See you all in August! Go Team Perini! The Hingham-South Shore PMC Kids Ride thanks our generous sponsors. Please support our sponsors! Busy Bee Jumpers & Tent Co.
Corporate sponsorship of financial support, underwriting, and in-kind donations is an integral component of the PMC Kids Rides. With your support and sponsorship, the PMC Hingham-South Shore Kids Ride will promote your company to our riders and their families and South Shore communities. The PMC is a registered 501(c)(3) organization, federal tax id: 04-2746912. As such, all donations to the PMC are tax-exempt. The PMC and all PMC South Shore Kids Riders appreciate any support you can provide to this family event supporting this worthy cause.